By Ashutosh KS in Desktop. Updated on December 9, 2018 . Microsoft Edge’s extensions, similar to Chrome’s extensions and Firefox’s add-ons, are small third-party tools that add new features and enhance your web experience. Though the list of Microsoft extensions is small at the moment, but it’s expected to grow soon. In this post, we show youu the best yet free extensions, handpicked from the Windows Store. Also available for: Chrome, Firefox and Safari. The extension brings you special offers and features from Amazon right in your browser to simplify your online shopping experience. It connects to your Amazon account as well and gives you updates and notifications like recent orders and product deliveries etc. 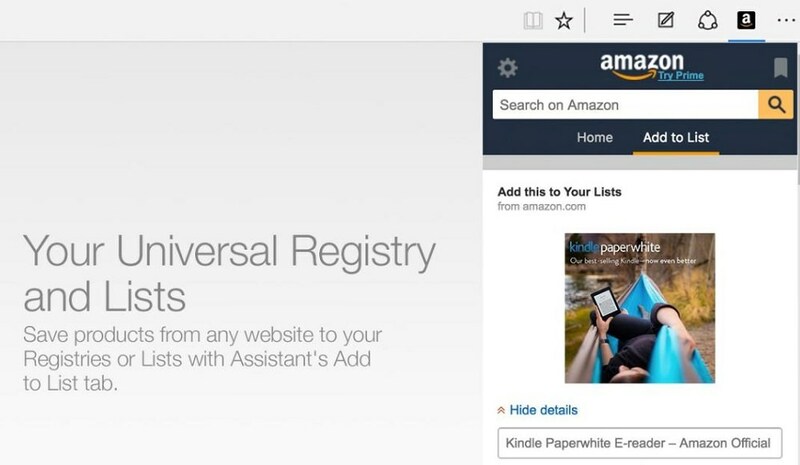 Amazon’s most-used functionalities are also offered through this extension, such as Deal of the Day (get the best deals without opening amazon.com), Price Comparison (keep an eye on your desired products), Add to List (save products from any website) and Shortcuts (popular Amazon’s links). It helps you save content from websites into your Evernote account. The extension allows clipping the full page, some of its parts (as an article), saving in a simplified version or just a bookmarking the page. While saving a page, you can also choose the notebook and add tags and remarks to the note. The clipper lets you highlight text on the pages and even allows sharing them via email or online links. It automatically syncs the notes with your cloud account and exposes its own keyboard shortcuts for quick clipping. Evernote Clipper also offers special clipping formats for web pages from LinkedIn, Amazon and YouTube. Also available for: Chrome and Firefox. It is an extension for users of Office 365 or Office Online that brings many useful Office features right in your browser. With this extension, you can access all your Office files (from local storage as well as OneDrive) without installing any software. 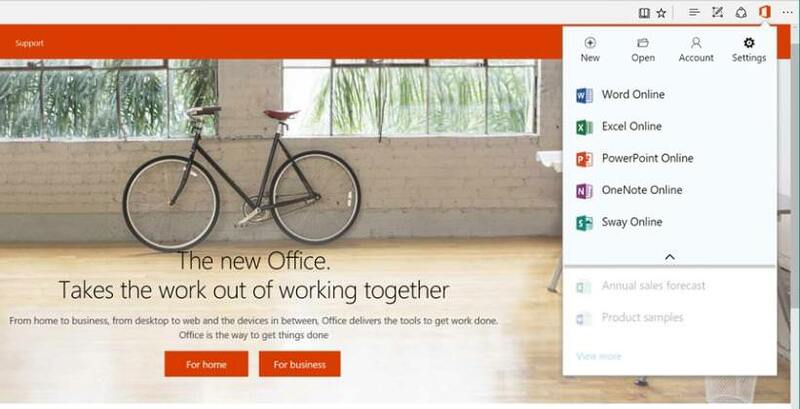 The extension brings you features of various Office apps including Word, Excel, PowerPoint, OneNote and Sway. It allows you to view and create files, and modify and save them directly from Edge. It’s a perfect alternative to the installed Office if you view or open such files occasionally and wish to avoid getting an extra software for them. It is an easy password manager for Edge that simplifies your online experience by saving your login credentials in the cloud. The extension offers your login credentials whenever you try to login to a known website, and once you choose one of the saved credentials, then LastPass auto-fills those credentials in the page. The extension even has a password generator for creating secure passkeys. It follows secure procedures for handling your data. 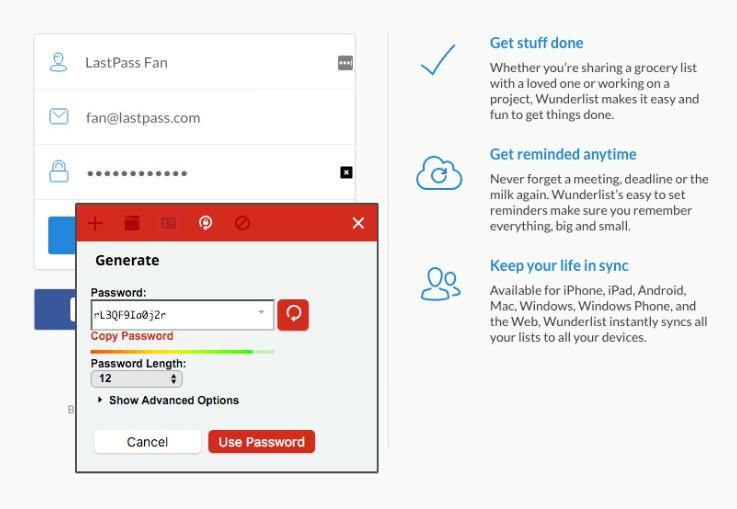 LastPass encrypts your passwords and forms information before saving to its servers and its extension decrypts them locally whenever you use them to login on a website. Also available for: Chorme, Firefox and Safari. Save to Pocket is an extension for Pocket — the popular read-it-later service. It lets you save articles, stories, videos and more from the web pages to view them later. It speeds up the whole process as you just click its button and bingo, the page gets saved. You can, of course, add tags to the saved page and even delete saved pages. 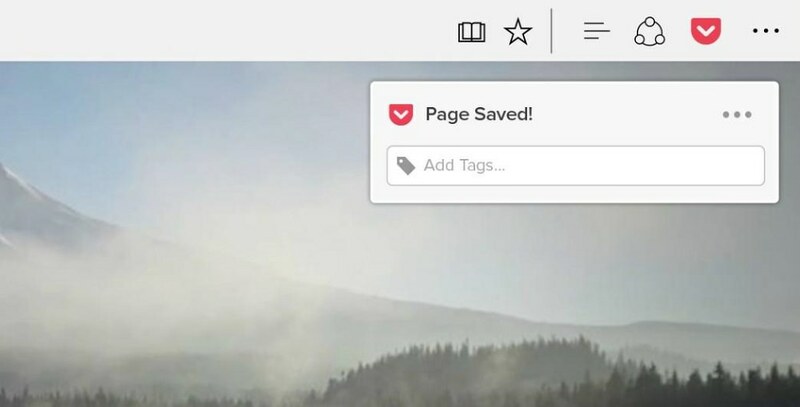 The extension helps you read saved pages later in a clean and easy-to-view layout that’s customizable and free of distractions. It automatically syncs with the cloud (and your other devices) to provide you access to your read-it-later pages. 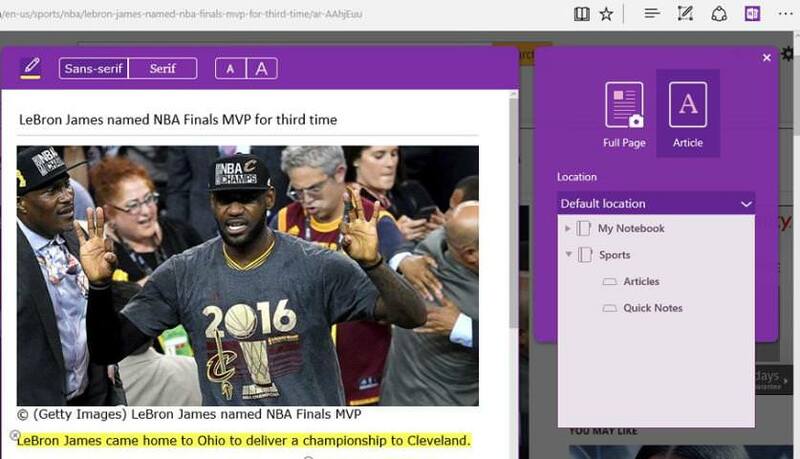 OneNote Web Clipper, like Evernote Web Clipper, helps you save a complete web page or just an article or recipe from it, into your digital notebook. Whenever you clip something, the extension auto-removes the clutter allowing you to clip at just one click. The added benefit of using OneNote Web Clipper over few others is that you can highlight text and change font and size. Also, you can even share the saved pages with others as it syncs all data to its cloud counterpart and makes the clipped content searchable. 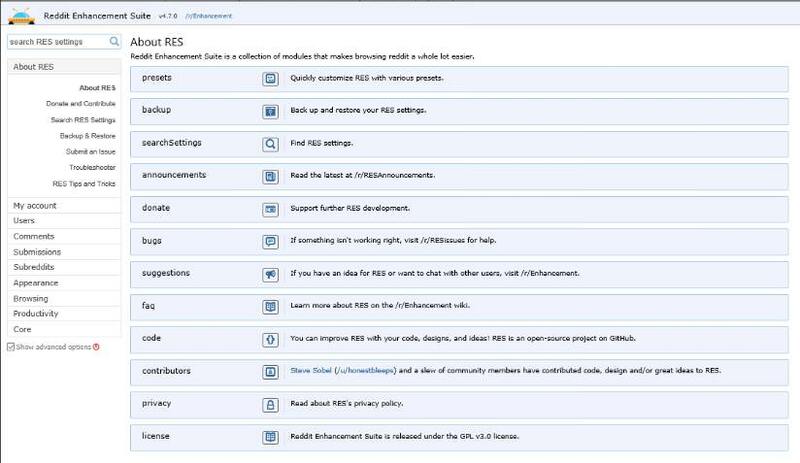 RES is a group of page enhancements for browsing Reddit. It’s a highly customizable tool with tons of features for enjoying Reddit the way you want. This suite allows switching between accounts and interesting features username hider, highlighter and tagger. It brings an AJAX-powered Reddit which gives you a never-ending stream of reddits. The extension can filter out content based on keywords, domain or subreddit and adds a Spam button for easy reporting. It also features interface themes, keyboard shortcuts, night mode, subreddit manager and comment-related enhancements. 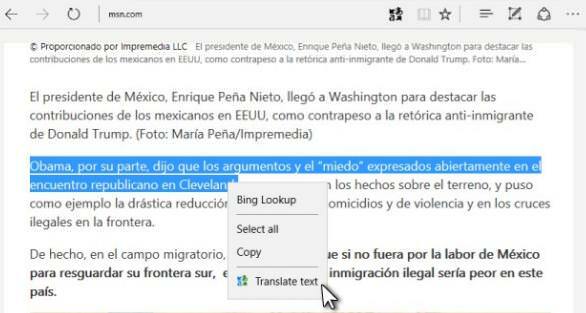 Microsoft Translator is a simple but useful translator extension which helps translate text and pages. This extension makes your life easy while browsing through foreign-language websites and is especially helpful for students, bloggers, journalists and researchers. With Microsoft Translator, you can translate the entire page into your desired language or select a part of the page to translate inline into any of the supported 50+ languages. Mouse Gestures helps speed up your browsing experience by allowing you to do common browsing tasks using simple mouse gestures. After installing the extension, you can click and hold the right mouse button followed by a gesture to do the configured task. The extension brings gestures for 17 actions, out of which there are 4 basic gestures (back, forward, up, down), 12 advanced gestures (like scroll up or down) and 1 no-action gesture. 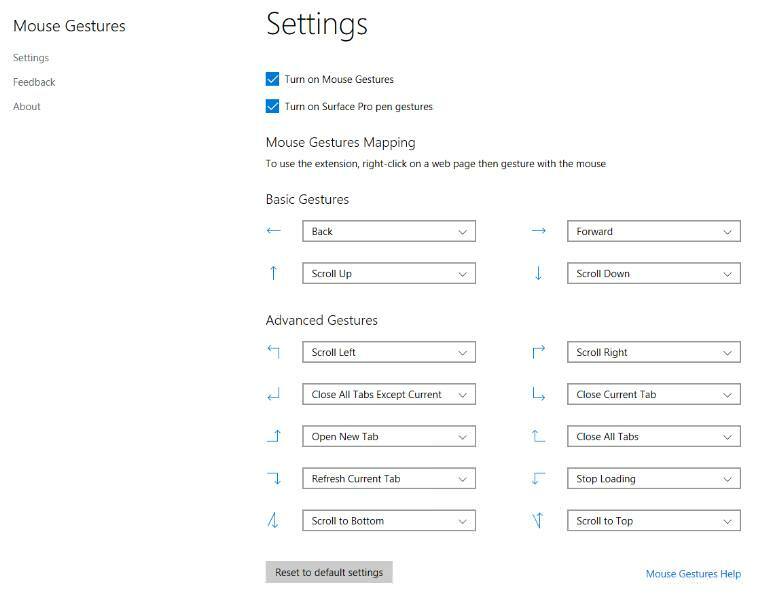 If you wish to know all the possible gestures, simply hold down right mouse button and do a random mouse movement to see the preview of all the gestures available. Similar for other browsers: Firebug Lite (Chrome) and Firebug Persona (Firefox). 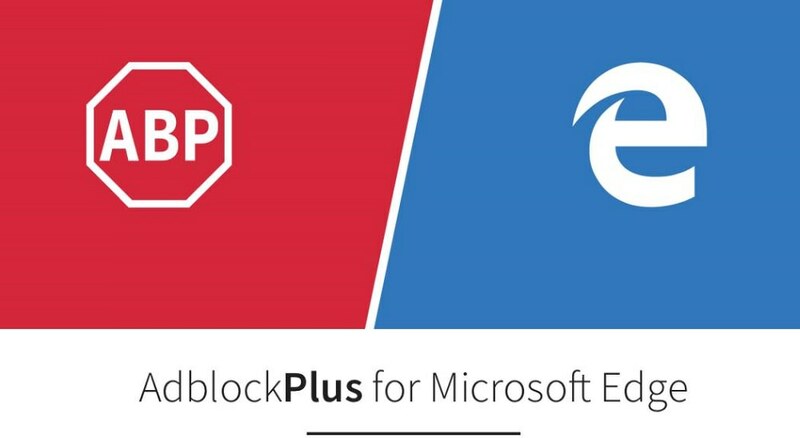 Aimed towards web developers to helps them make their websites ready for Microsoft Edge, this extension helps improve the site’s compatibility, performance as well as accessibility by analyzing errors and possible optimizations. After installing the extension, open the website that you want to analyze and click on its button. Page Analyzer will scan for bugs and common errors in the opened web page and provide detailed information about the issues or improvable coding practices with the page. It is a popular ad blocker that blocks majority of unwanted ads on visited websites. It also blocks social sharing buttons, online trackers and malware attacks to help you enjoy personal online browsing with no one tracking your online footsteps. Moreover, it also allows adding custom rules to block ads and whitelisting domains to see ads. This extension allows showing some unobstructive ads to support websites. Please note that majority of websites like ours, depend on shown ads for continued service, hence we’d request you to whitelist Ã¢ÂÂhongkiat.comÃ¢ÂÂ or allow unobstructive ads to support us. That’s all about the best available browser extensions for Microsoft Edge to make your browsing experience as easy as possible. Which one is your favorite among the above? Are you developing an awesome extension for Edge? Kindly reach to us using the comments section below.